3 books you need to read for International Children's Book Day – by 13-year-old volunteer, Levi. International Children’s Book Day aims to inspire a love of reading and call attention to children’s books. 13-year-old Levi has been volunteering with us at the Foundation for the last three months. During his time here, he assessed some of the Author of Tomorrow submissions for our 2018 Adventure Writing Prize and read a few of the previous Author of Tomorrow stories. In this post, Levi has written about his three of these books – all of which are available on Worldreader. We asked Levi, what makes a good adventure story? A clear plot focusing on a good, riveting adventure with a likeable or interesting main character. A good adventure story will make me feel like I’m on their adventure with them, as they guide me through the setting. 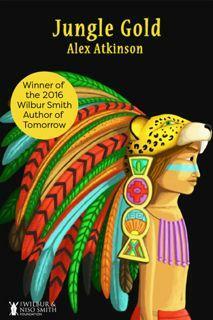 Saq Balman is discovered in the jungle as a baby and grows up in a Mayan village. When a jaguar threatens the village’s safety, Saq must set out through the jungle to kill and return it in order to be considered a man. Jungle Gold was action-packed and Saq had to make a lot of important decisions. That’s what made him my favourite character, because he was clever and courageous – instead of doing what everyone had told him to do, he had the courage to go against them. I also learnt from this book that Belize is quite tribal and that some worship spiritual gods and their creations. 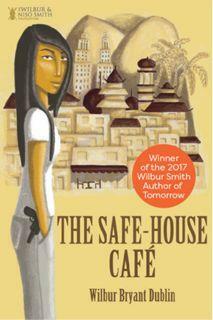 The Safe-House Café is about two agents, Aiman and Albany, who have to retrieve a dangerous chemical agent from a Malaysian terrorist group. My favourite character was Albany, because she’s very clever and quick-thinking. The two main characters go on an exciting journey that’s full of plot twists. For example, when part of their plan goes wrong, Albany sneaks into a complex full of armed men and manages to steal dangerous acid without getting caught. The Safe-house Café taught me that some people in Malaysia speak a creole of Chinese, Malay, English and Tamil languages. The Helots' Revenge is set in 464BC in Ancient Sparta, when the Helots (slaves) rebelled against their masters. The Spartans tried to drive the Helots out of Lacedaemon, where there was a lot of land conflict. This story focuses on Euripyles and his brother who manage to escape, but are interrupted by a Spartan. Euripyles was my favourite character because he was very wise, brave and skillful. 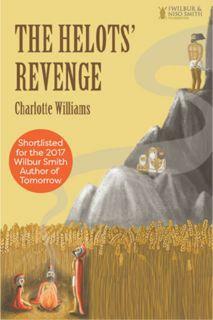 I really liked this book as it’s based on true, historical events, which makes the story much more realistic and believable. The Wilbur & Niso Smith Foundation partner with Worldreader to connect readers with adventure stories across the world through the use of eBooks. Find out more about WorldReader here. Whether you’re an aspiring or published writer, a big adventure fiction fan or simply love reading, make sure you follow us on Facebook and Twitter.